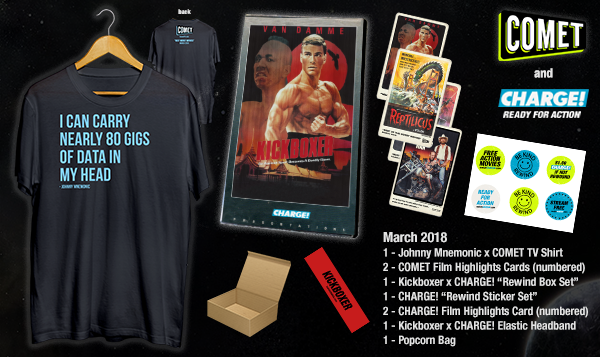 March is here and that means a new COMET TV Giveaway, but this time CHARGE! is here too. And they want to give you the opportunity to have an awesome March of your own! The COMET TV and CHARGE! March Prize Pack is perfect for binging some classic films and TV Shows! All five films will be shown Monday-Friday, March 26-30 at 6/5C - including the original Van Damme movie that started it all!